The details of the products that I offer at this event. I tested using 7700k and ROG-Z 270 APEX. The CPU is 4C8T and simple water cooled. Memory is dual channel and temperature is over 20 degrees. Can I boot OS (win 10) with DRAM-Clock 4166? is the selection criteria. Look at the image below for memory timing. If I boot with 4166 and clear all major 2D benches, it is a passing memory. Of course SPI is also included. I did not use 2C2T and tested it with 4 Core. Because I wanted to test with more stringent conditions than 2C2T. I sorted out like this. The prizes that I offer this time have completed all these conditions. Practically, I think that it is memory of 4166. 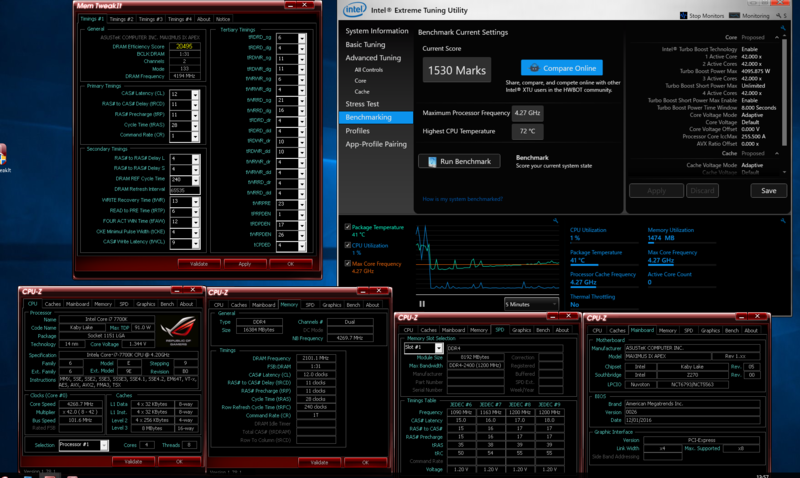 This is memory that the CPU with water cooling passed almost 2D benches at 4200 over after 4200 boot. If you cool the CPU more, performance will also up.